Cows are great. Raw milk? Not so much. Say what you will about store-brand milk’s crummy marketing history and relative blandness—at least it’s rarely loaded with germs that’ll send you running to the toilet, or even worse, to the hospital. The same definitely can’t be said for raw milk, reveals a new, if fairly obvious, study out this month in the journal of Emerging Infectious Diseases. Researchers created a computer model meant to estimate how often foodborne germs from dairy products sicken and hospitalize Americans annually. They fed the model data from the National Outbreak Reporting System, which stores all reported incidents of foodborne illness provided by federal, state, and local health departments. 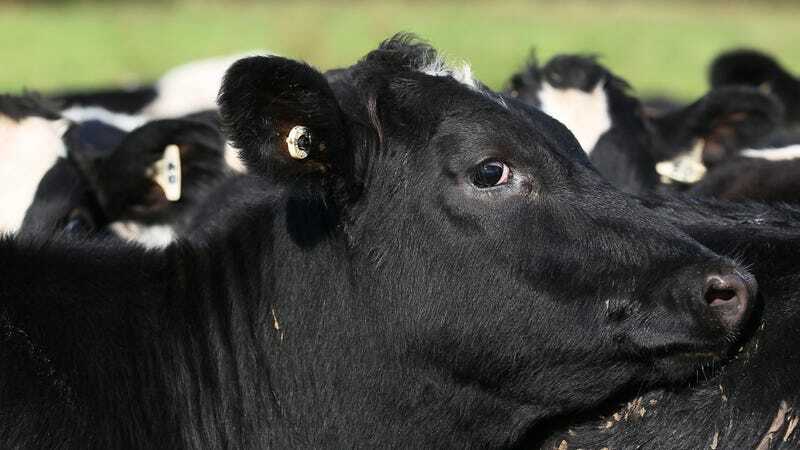 Ultimately, the model analyzed 87 outbreaks traced to milk and cheese that were responsible for 750 lab-confirmed illnesses and 215 hospitalizations from 2009 to 2014. From there, they estimated that dairy-related outbreaks sicken an average of 761 people and send 22 people to the hospital every year. But a whopping 96 percent of these cases are likely to be caused by consuming unpasteurized milk or cheese. That’s a number even more astounding when you consider that only 3.2 percent of the US population regularly consumes raw milk and only 1.6 percent of people eat unpasteurized cheese. “Unpasteurized dairy products thus cause 840 times more illnesses and 45 times more hospitalizations than pasteurized products,” the authors wrote. The model also only takes into account reported outbreak cases, meaning there are a lot more people sickened by unpasteurized milk and cheese that we simply don’t ever find out about. Even a slight uptick in the already-growing popularity of raw milk is likely to cause a lot more illness, they further found. If twice as many people in the US population started drinking raw milk and eating raw cheese, for instance, the number of reported cases and hospitalizations would likewise double as well. That said, the findings aren’t really so surprising. Health and food safety officials have long pulled out their hair trying to warn the public about the risks of raw dairy products, including death, to little avail. Meanwhile, raw milk producers and hucksters alike have touted the supposedly miracle properties of raw milk, claiming with little evidence that it does everything from helping you lose weight to rejuvenating your skin. Given that the trend of “natural and clean” eating continues to pick up steam, though, it’s almost certain that public health officials will be dealing with increasingly more foodborne illness. Pasteurization: it’s still a good invention, even 154 years later.